Welcome to April! I can’t think of a better way to begin the month, than listening to Paul Simon’s April Come She Will song. Oh, how funny. I listened to my older sister’s Sounds of Silence, too. Ann, takes you back, doesn’t it? I loved Sundays in the Summer during the 70’s. In the back yard by the pool listening to Casey Kasem’s countdown. I would never want to be a kid again; but oh how I would love one more short visit back to that time. The music of the 50’s, 60’s and 70’s are my favorites. When I hear certain songs it brings back a flood of memories. The Beach Boys, Frankie Valli and the 4 Seasons, the Bee Gees, Andy Gibb, Melanie, Leslie Gore, Cat Stevens, Paul Simon; oh I could go on and on. So many special times can be associated with music and books. When I remember special times I can remember songs, books and even movies that I enjoyed or were special to me. It is always nice to think back and remember. Margaret, you’re talking about when Cat Stevens was Cat Stevens… before he became Yusuf Islam! Now that does take me back! Yes after I posted, I thought I should have been specific about Cat! 🙂 He is a little “different” these days. But oh how I loved him then. We still have a turntable and I think we have that album!!! Good grief, Maria, I guess you’ll be ready if record albums come back in style! I first remember my oldest brother’s music was the late 1950’s genre – he was really good at doing the mashed potato with those funky pointy toe shoes and Cuban heels. My middle brother’s era was the early 1960’s genre. I’ll always remember the day he brought home Chuck Berry’s, “My Ding-A-Ling”. Then there was genre – Knight’s in White Satin was my prom theme. Olivia Newton John, Jim Croce, John Denver. All those mellow sounds. What a span to have been exposed to. Robin, your parents must have “loved” all of the music you and your siblings had playing in the house! April 1 brought another joy to me , my oldest daughter was born 53 years ago. I remember waking up that day while the doctor told me, “You did not have a baby, you had an elephant.” She weighed 10 lbs 9 oz. She certainly looks a lot thinner today. WE talked at her party yesterday and she mentioned her favorite singing her of her teens. It was an obscure British group called the Bay City Rollers. 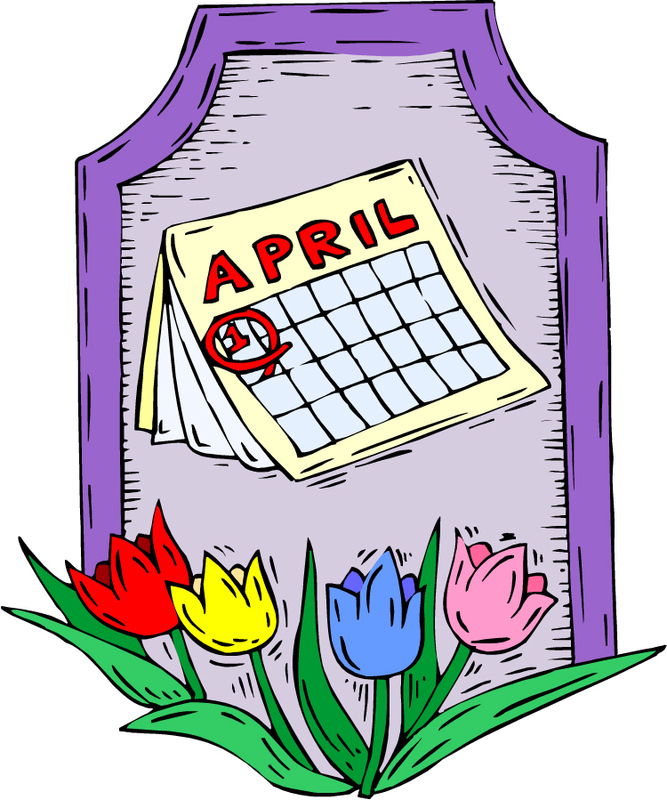 Happy April to everyone. Regina, I know I have said this before: You are SO lucky most of your children live near you. How wonderful to be able to spend birthdays with them. Danna this April 1 was even better as my youngest daughter had come home for the weekend so we were all together. What fun. Although I forgot how siblings can squabble even when they are older. Regina, who says we grow wiser as we grow older? I have one sibling who absolutely has to “squabble” with everyone in our family… including my mother! I love Paul Simon’s lyrics – and this song was one of my favourites. Debbie, I’m with you on Paul Simon’s lyrics! Oh Danna, I loved the Bay City Rollers, with their Scottish accents (although you could not understand them) and the tartan plaid. We still have several of their albums in the Family Room at my Parent’s house. They were quite the hit here. They were very big in “Tiger Beat”. Oh, there is another memory, “Tiger Beat and the pull-out posters! Although when I look at them now I wonder what we were thinking, LOL. That was the era I grew up in, I still have all my “vinyl”. and I loved the Bay City Rollers!!! Oh my gosh, Annette, you still have all your vinyl?!? Would that be in 33s or 45s? Annette, my daughter told me that she has all the records of the Bay City Rollers both the British and American ones. They vary slightly in each country. Yes I also remember her passion for tartan. The group came to Hartford once when she was a new driver. I let her drive to Hartford to see them. On the way home, she took a wrong turn and ended up in an unsavory part of Hartford. I will never forget that night. Regina, that would have been quite a night… to have your daughter coming home late (making that wrong turn into a tough area of town) when she new driver, or not! I bet you never forget the night! I’ve discovered a wonderful mystery writer that needs to be included on the cozy mystery list! Actually it’s a sister team, Constance and Gwenyth Little. According to the publisher, Rue Morgue Press, their books were written between 1938 and 1953, and all 21 mysteries are stand-alones. I’ve only read one so far, The Black Rustle, and thoroughly enjoyed it. Please add these authors to your list so that others may enjoy them as well! Kathie, thank you for telling me about the Little Sisters (Constance and Gwenyth). I just got their Christmas mystery (Black-Headed Pins) and am really looking forward to reading it this holiday season. (I am sorry it’s not in Kindle format, but I’ll have to get over that!) Constance and Gwyneth Little are actually already on my “Authors to Post” list. I can’t wait to tell my daughter about other Bay City Roller fans. I think she still has their records. On the other hand I would like to add another name to the list of authors. Morag Joss, unless I am mistaken she is not on it. She writes mystery stories set in Bath , England. Her chief character is a world famous woman cello player, the love interest is a married British policeman who is taking cello lessons from her. There are 3 books in the series and I am reading the third now. Regina, I asked my husband if he remembered them, and he said he did. Now, mind you, that didn’t make him a fan, but he does remember them. Isabelle, I discovered Brett Simon through his Mrs. Pargeter Mystery Series. I especially loved the first one in that series. It was Cozy, Cozier, Coziest! My twin sister & I loved Bobby Vee, Paul Revere & the Raiders, Johnny Mathis, Bee Gees; & so many more: pretty much everybody that was on American Bandstand! I’ve been lucky enough to find them on CDs and here at the office and at home they never fail to put a smile on my face! Petie, my husband and I have tried to replace all of our old albums with CDs also. Some of the remastered CDs actually sound better! Music – doesn’t it always bring back memories. I remember visiting older cousins and hearing the Beach Boys, Frankie Valle etc. Then going to the beach with friends as I got older listening/dancing (never really did master the Shag – I have no real rhythm) to what we call(ed) Beach Music – The Drifters, The Platters, I love that stuff I guess they call it DoWop .. at any rate as I write this I can hear the music playing in my head. Good thing I am on Spring Break..
Denise, reading these comments with all of the musical groups named sure has taken me back! I just finished Kate Ellis’s new book “The Cadaver Games”. It was truly a page turner. She was able to blend together a story from the past with a present day mystery story beautifully. It was full of suspense and the ending was a complete surprise. This is the 16th in her series about Wesley Peterson, a British policeman but still a spellbinder. READ IT.if you can. Regina, thanks for telling us about your enjoyment of Kate Ellis’ Wesley Peterson Mystery Series! Strange, I just read a book yesterday that had our country’s 200th birthday as the time period. A lot of the songs listed here in this posting are mentioned in this book. The book (not a mystery) “The Saints and Sinners of Okay County” by Dayna Dunbar was a very good book, to me anyway. Linda, now that IS strange! I guess the songs we are all remembering were so very popular that we are all still thinking about them. Danna, I graduated from highschool in 1963. I was married and became a mother during the 60’s. During that time I had two brothers as well as several cousins who served in Viet Nam. This was a really bad time in our American history especially with all the riots . The music from that time period means a lot to me because to me it brings back a lot of those memories. I was sort of naive though because I did not realize that a lot of those songs like “Knights In White Satin” and “Puff the Magic Dragon” were about drugs. Yes, I knew the T.V. series M.A.S.H was really about Viet Nam. But I did not know those songs were about drugs. Naive, huh?? I love those songs from back during that time period because that was the time period that I was going through a lot of changes in my life.